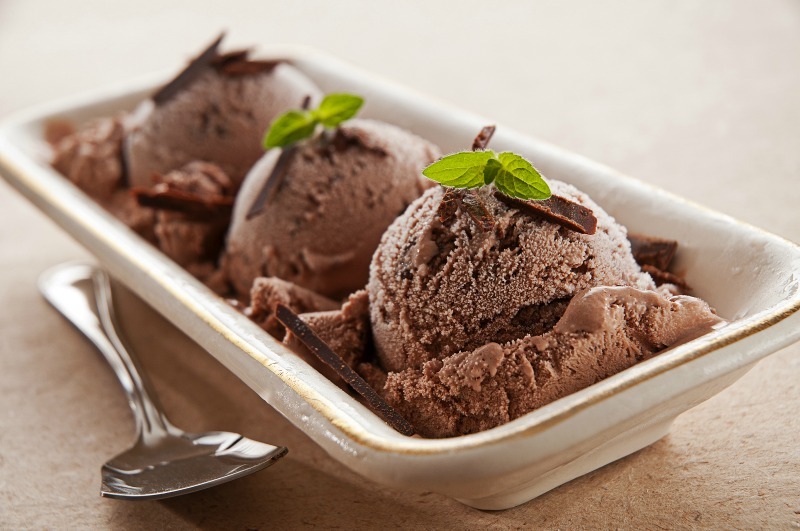 Take your love of Nutella to a new level by creating this delicious nutella ice cream. Kids and adults both tend to love this nutella ice cream. It’s easy to make and doesn’t require an ice cream machine. You can use other brands than Nutella and it’ll still work fine. To make the chocolate flakes for the garnish: you can melt chocolate and spread it out thinly on a sheet of baking paper before chopping into thin flakes. Alternatively, crumbling a Flake bar is an easier option. Add the cream to a bowl and beat until soft peaks form. Add in the condensed milk and nutella and whisk until combined. Scoop the ice cream into a loaf pan and cover with plastic. Alternatively, you can use an airtight container. Freeze for at least 2 hours until hardened. Scoop ice cream into a plate and sprinkle with chocolate flakes. Another spread that makes really good ice cream is peanut butter. Be sure to check out my peanut butter ice cream recipe as well. 2 Replies to "Nutella Ice Cream Recipe (No Churn)"
For us Americans, can you recommend an alternative if we can’t buy Nutella locally, or should we just bite the bullet and hit up Amazon.com? This looks really good. It’s all good mate. If it’s a nutty chocolate spread you’ll be in business.